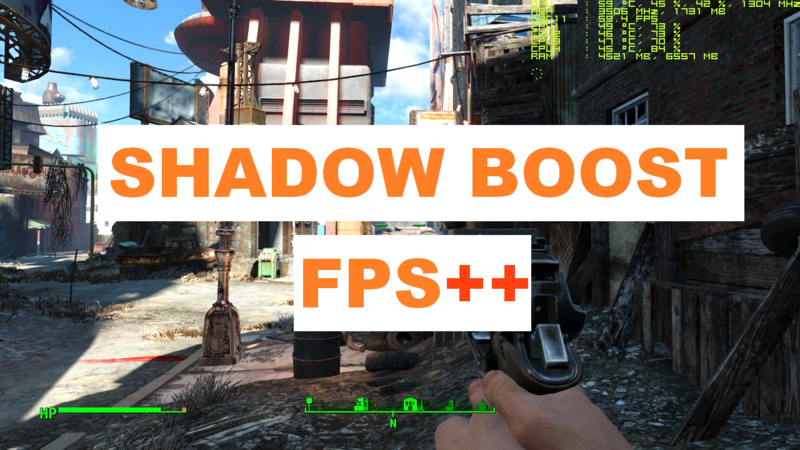 Fallout 4 mods are being developed like hotcakes, and now a player has created a mod that allows players to dynamically control shadow draw distance, depending on player defined framerate. Fallout 4 released only 2 weeks ago, but already the Fallout community has created tons of modifications for the game. Fallout 4 players are only able to create mods on PC, but they will eventually be transferable to the Xbox One and PS4 versions of the game as well. Although a lot of mods are intended to be merely comical, some are quite useful – for instance the dialogue mod that reveals the sentences the main character will say, when presented with a dialogue choice. Now Fallout 4 player Alexander Blade has created a mod that adds an ability to dynamically control shadow draw distance depending on desired user defined framerate. The mod can be downloaded here at Nexus Mod. 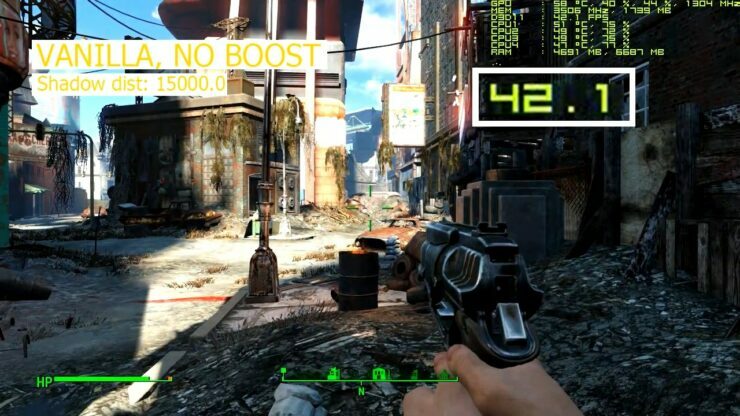 Many of you may have noticed that in some locations of Fallout 4 fps gets low even with a good hardware, like in the City, mostly it happens in the areas with lots of objects. Since the game isn’t properly optimized, almost everything that it does with objects which it renders takes more time than it actually should. 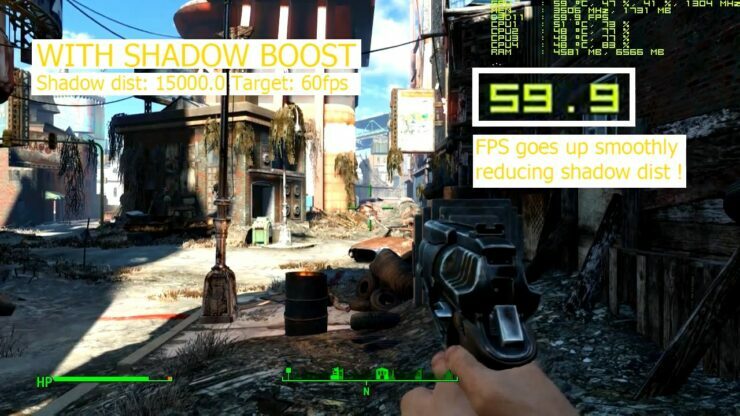 One of the most time consuming operations in Fallout 4 is shadow rendering and because the game has only predefined shadow draw distance, which applies everywhere in every location just the same, we have a choice either we set it to high value with having a good picture but eventually facing fps drops in locations with lots of object or we lower the value to make fps more stable in general. And this is exactly the point where this plugin comes handy! The mod allows players to define a desired framerate, and a minimum/maximum shadow draw distance.